I tried to sew it in the summer using some blue sateen fabric and it was so horrific I binned it! However, Teresa at Navy Blue Threads made one too and it looked so fab I knew I needed another attempt! The fabric was an impulse buy from the Market man in Darlington. He had so many new fabrics it was such a hard decision, but I considered my lovely new trench coat and co ordinating my clothes to wear with it. I have to admit I don’t have anything yellow in my wardrobe up to this point! It was an easy sew and I like how classy it is for work with a navy suit or with my jeans at the weekend. The cotton has a lovely soft sheen to it. Wonkiness: 9/10! I really love it! I am seriously worried about my wonkiness….it is improving !! It’s a good thing! Love the photo-collage… great way to display your work. You look lovely! Great blouse! So crisp and delicate, too. Lovely pattern & adore that fabric! Blue & yellow ~ so French! Would the cotton be what we used to call “polished cotton” over here? Lovely hand, and a sheen almost like satin? Yes, maybe. It doesnt shine or anything though it is just when you touch it. Its lovely to wear because of it. Thank you! Oh yes! That is definitely what it is then. I also bought some with an art deco pattern on i think you will like! I have a vintage blouse pattern from the 1950s , which was half price, it is a modern version . 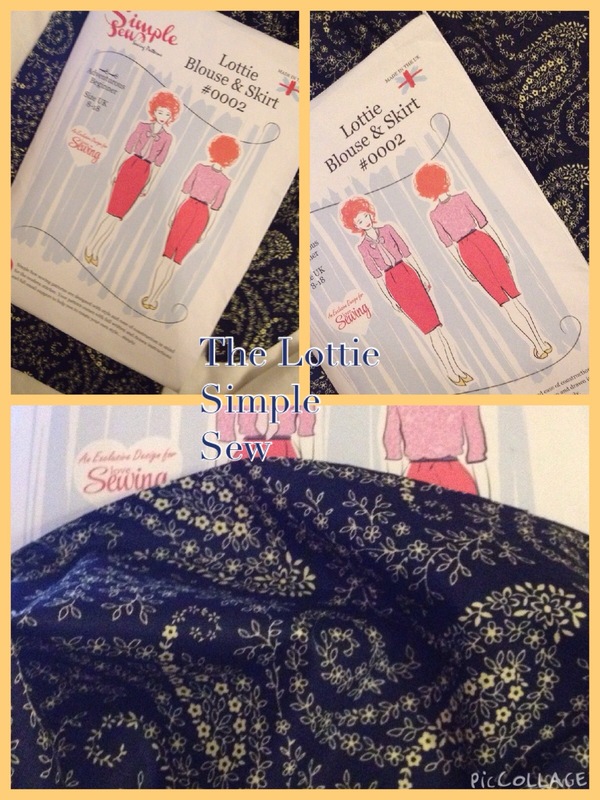 Simplicity 1278. It has a very interesting neckline! Thanks sooo much for this, Amanda! ~ the patterns are lovely! Lovely! Looks like a great fit and a nice classy blouse. It will be perfect with a trench 🙂 I’ve never used any of the Simple Pattern designs, what are they like to work with? A gorgeous blouse Amanda. 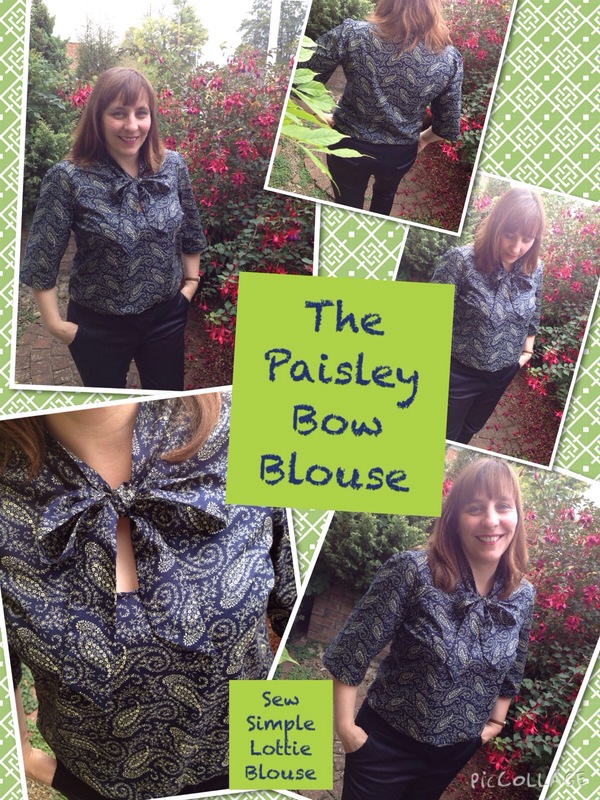 The paisley print is adorable and just perfect for this style of blouse. I love your photo editing. What program do you use ? Thanks Linny. It is a free ipad app called piccollage. Glad you like it!